Communicating ideas, strategies and results via the spoken or written word is not the most efficient medium for a fast-moving business because information is more manageable when it is visualized.Visualization helps people get their head around a concept faster, and it increases the chances of them remembering the concept in the future. This fact is why we visualize data in graphs, build structures out of sticky notes and use models to understand connections. But creating these types of communicative devices takes time, and they are not so easy to share, which means they don't get used as much as they should. This problem is precisely what RealtimeBoard—a whiteboarding platform—sets out to solve. 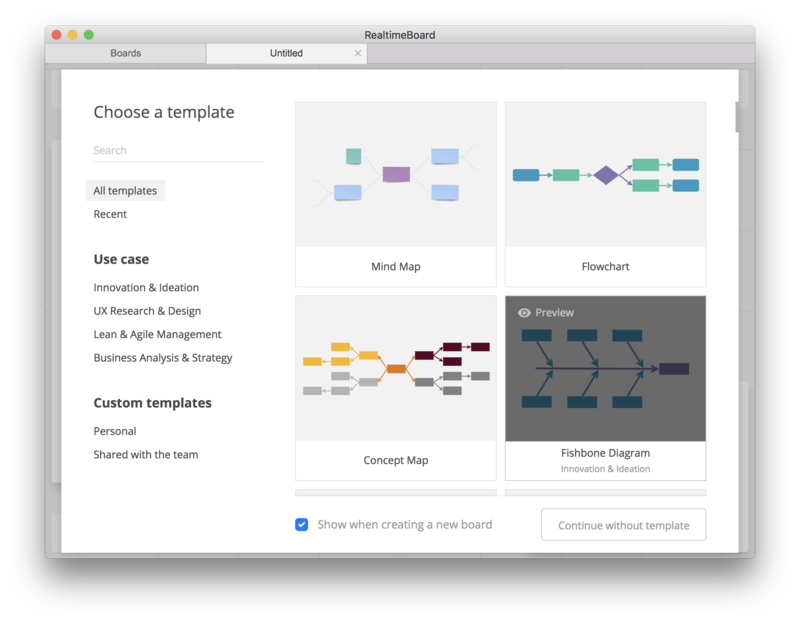 The tool lets you flesh out diagrams, graphs and sketches—and lots more—in the cloud to allow teams to collaborate more effectively. 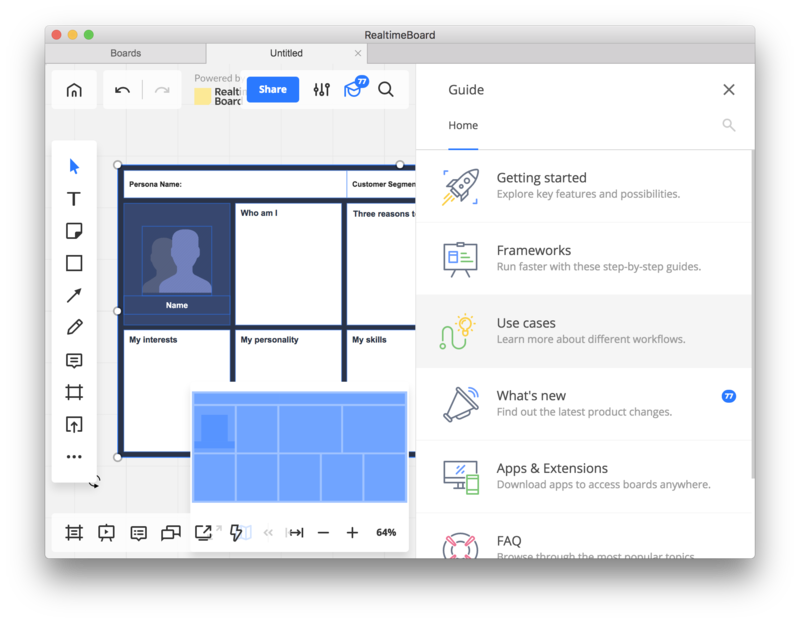 But when there are multiple ways for people to visualize an idea, users may feel overwhelmed when first using the platform. 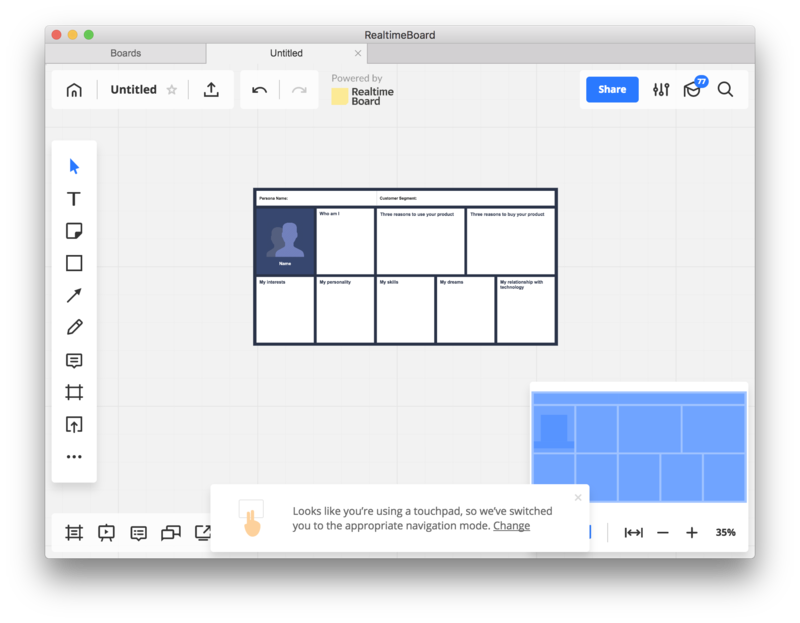 Understanding this, RealtimeBoard provides the user with use cases and templates in the onboarding flow to ensure the user's path to value is as smooth as possible. 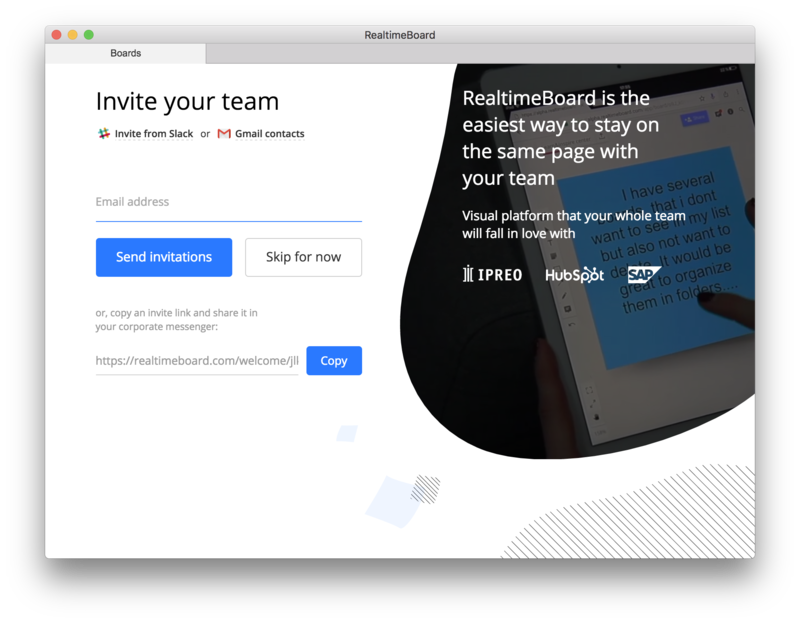 RealtimeBoard delivers the most value when team members collaborate on its platform. 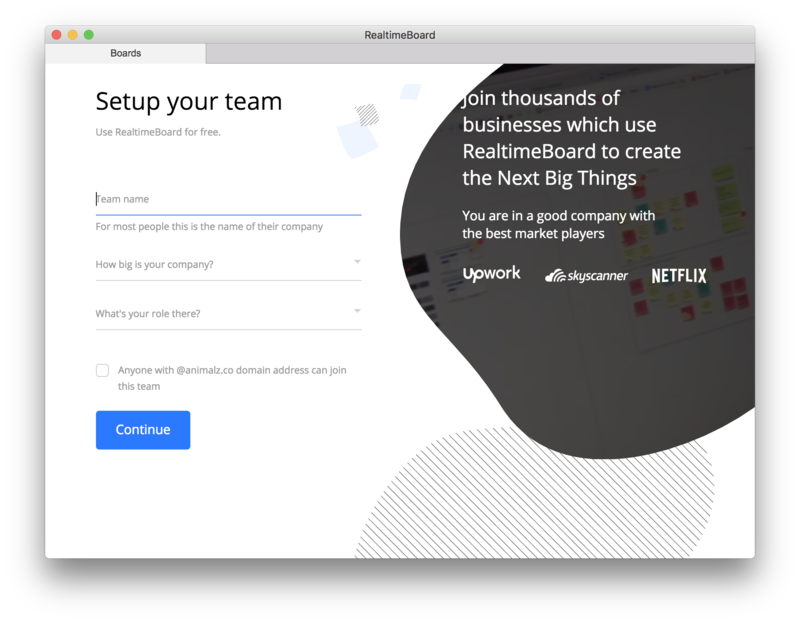 Because of this, the flow places an “invite your team” prompt at the beginning to encourage the user to get their team involved as soon as possible. With more people using the platform, the greater the investment the team has in it, which consequently leads to greater engagement. 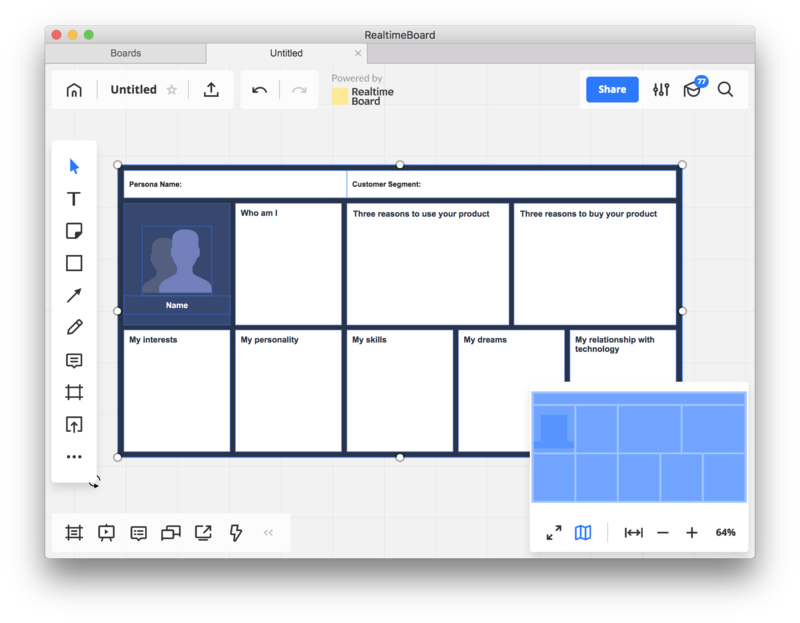 To get the user to value as quickly as possible and to support them going forward, RealtimeBoard offers templates to reduce the complexity involved in building their first board and use cases to demonstrate the capabilities of the platform. Some people learn by doing things, some learn by reading and others learn by listening. 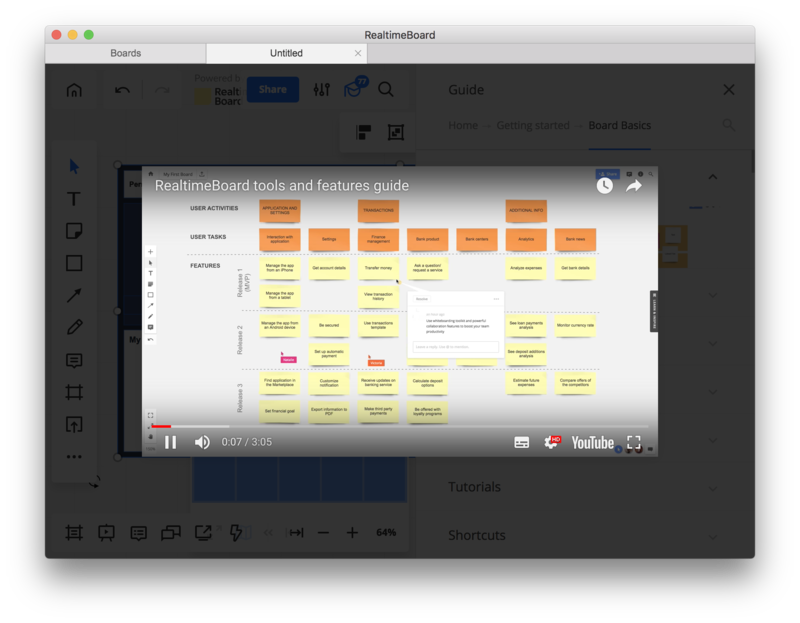 RealtimeBoard caters to all learning styles by letting users get hands-on straight away but still provides supporting documentation and video content that is only a click away. 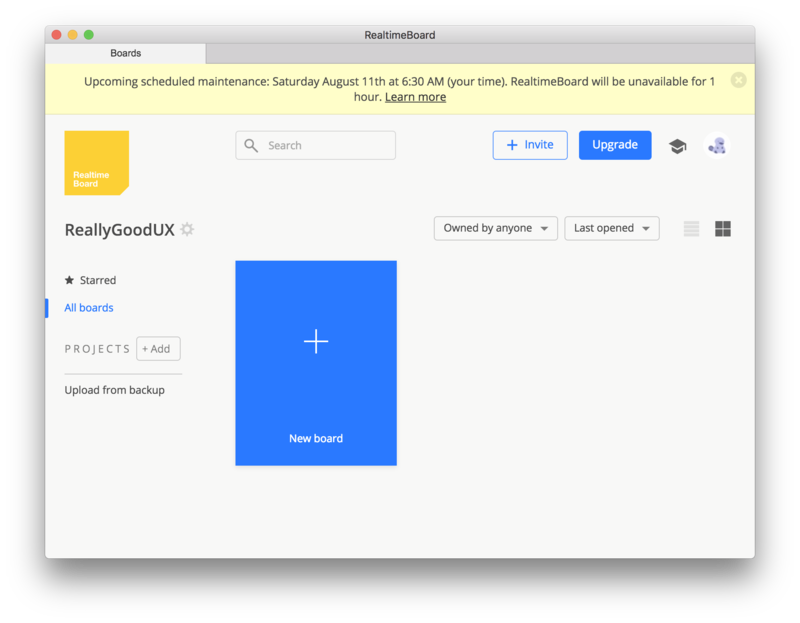 RealtimeBoard uses personalization to enhance the experience by identifying the user's hardware, in this case, the touchpad, and then delivering the appropriate layout to support the user's actions.